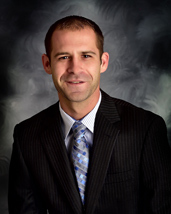 Hi, I’m Jeremy Maubach and I’ve been assisting the people of Bloomington-Normal with their mortgage lending needs for nearly a decade. I’m passionate about helping my clients to realize their dreams of home ownership, and I go above and beyond to make sure that their mortgage experiences are pleasant and stress free. From first time home buyers to seasoned purchasers or those looking to refinance, I work right alongside my clients to ensure that their needs are met in an organized and timely manner. I particularly enjoy working with and educating first time home buyers and seeing the excitement on their faces come closing day. I’m a Bloomington-Normal native who graduated from U-High and later from Eastern Illinois University where I studied Business Administration and Sports Management. I spend my free time with my beautiful wife, 2 awesome children, and 2 rescue dogs. I also love coaching youth sports and playing rec league soccer. Give me a call or come see me so that we can turn your home buying dreams into a reality.